Source: “Crossing the Aegean: The Consequences of the 1923 Greek-Turkish Population Exchange” by Renee Hirschon, 2003, page 181. Click on the map to see it in full resolution. 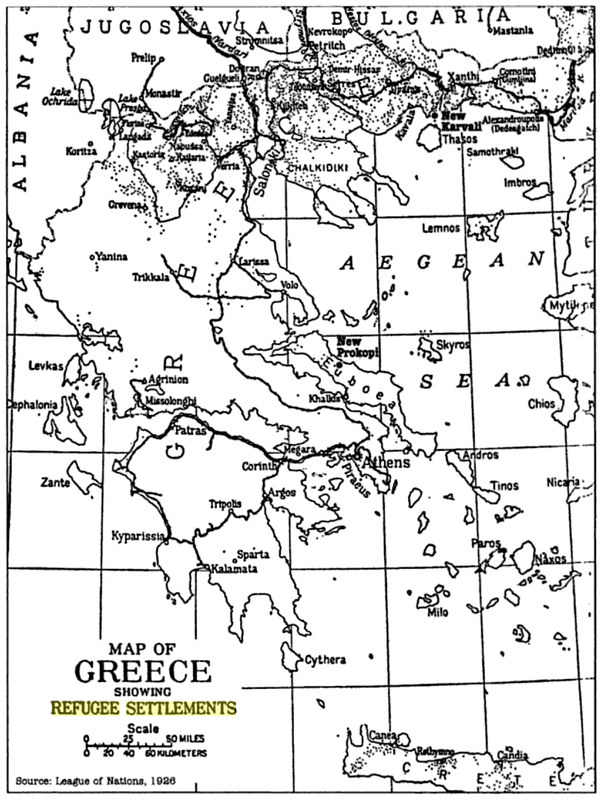 See also my previous post about this map, Map of the Refugee Settlement in Greece 1926! and Where did the Refugees from Turkey settle in Aegean Macedonia? These maps should be posted to Wikipedia also a map combing the above mentioned maps into one so it shows settlements in connection with Refugee density.